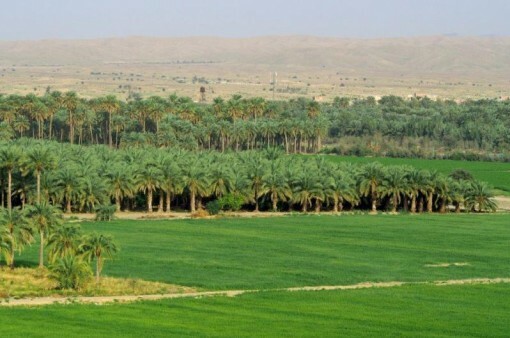 The Jiroft plain – the fertile oasis of an early civilization in Iran. The impressive statues of ancient Mesopotamian rulers in the Louvre and the British Museum bear witness to the wealth of Bronze Age Akkadian and Sumerian city-states more than four thousand years ago. But they are made of black diorite and gabbro stone not found in the region of today’s Iraq and northeastern Syria. Where did it come from? The blocks of stone must have been transported along ancient roads from distant trading partners to the Bronze Age cities of Mesopotamia. A team of researchers from the University of Tübingen’s ResourceCultures collaborative research center has investigated the origins of the stone and the methods used to move such heavy loads over great distances. The team from Tübingen collaborates with the Iranian Center of Archaeological Research (ICAR) to find the answers and is jointly headed by Professor Peter Pfälzner and Nader Soleimani. The archaeologists found diorite and gabbro in the Iranian province of Kerman, not far from the Persian Gulf, which matches that used in the Mesopotamian statues. In the same area, the archaeologists also found deposits of chlorite, which was used to make stone vessels traded as far away as Mesopotamia and the Levant. Close to these deposits, the researchers found petroglyphs and Early Bronze Age settlements, indicating that the stone was quarried during the Jiroft Culture of southeastern Iran (approx. 3000-2000 B.C. ), and that it was traded across the Near East. One of the recently-discovered settlements may have been a production and distribution center for the valuable stone. 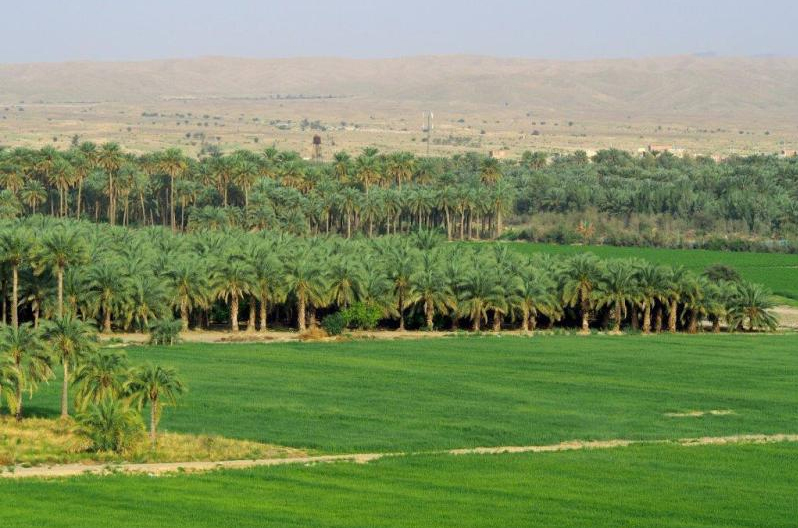 “This shows that the civilizations of Mesopotamia and southeastern Iran were in direct contact in the Early Bronze Age,” says Pfälzner of the Institute for Ancient Near Eastern Studies. “The Persian Gulf most likely served as a trade route.” Pfälzner said this illustrated the great significance of this waterway in the international ties between important regions – from the Bronze Age to the present day. Pfälzner and his Iranian colleague Nader Soleimani are jointly heading research into an area of 110 by 120 kilometers in Iran’s Kerman Province – both on the ground and from the air using unmanned aircraft. Until now, there has been little archaeological research conducted in the hot, dry region south of the city of Jiroft. Using aerial photography, the team creates 3D models of ancient settlements (tells) from the Jiroft Culture era and other historical periods up to the coming of Islam. Along the potential trade routes running between high mountain chains to the coast of the Persian Gulf, the team is looking out for Early Bronze Age way-stations and any other trade activity. The German-Iranian team has so far mapped and investigated 42 settlements. Now that the initial investigations have yielded results, work is set to resume in Iran in February 2016. The researchers are hoping to find out more about where the Bronze Age trade routes ran between the Jiroft Culture and the city-states of Mesopotamia, as well as what sort of effects this early long-distance trade had on Iranian civilizations more than four thousand years ago.